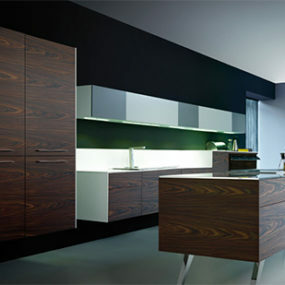 A fabulous suspended kitchen of clean lines and light forms the Dada Nuvola kitchen is modern magic. 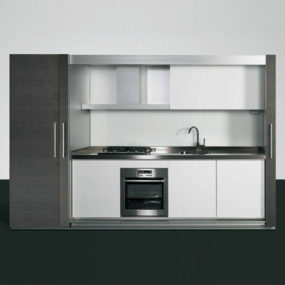 A contemporary modular kitchen with smooth grid-like cabinets and a distinctive island unit, the Nuvola can bring its light simplicity into any space. 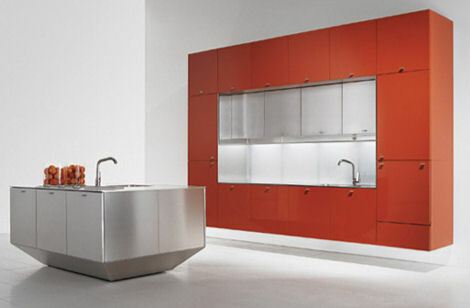 The cabinets are wall mounted, making them seem light and free-floating. 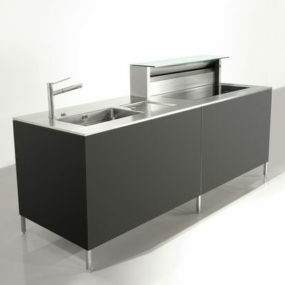 The open space underneath allows you to get close to the work surface, increasing your reach and comfort without banging your toes. 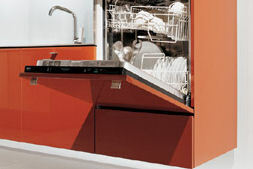 The extra height on the cabinets means everything is easily accessible, without excessive bending. 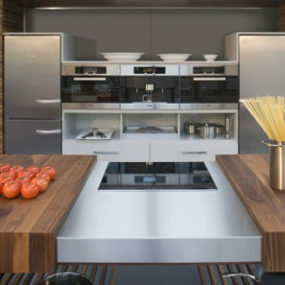 With even the appliances hidden behind the finely finished doors, the kitchen is simple and harmonious. 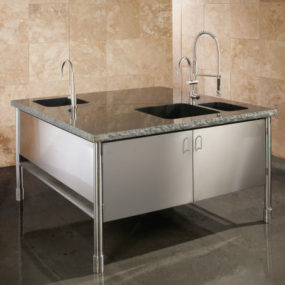 The island features a thick steel worktop and an intriguing sloped pedestal. 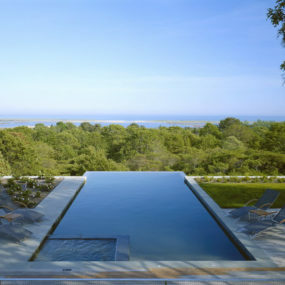 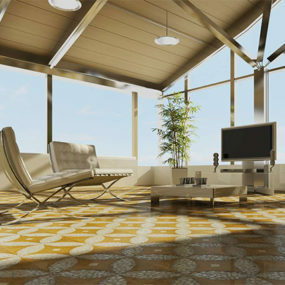 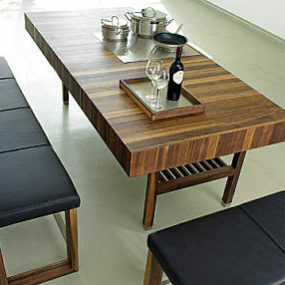 Creating the illusion of weightlessness, the island offers a casual grace. 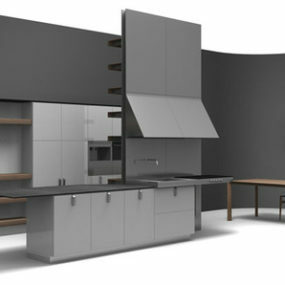 A contemporary kitchen of unique form, the Nuvola is available from Dada.